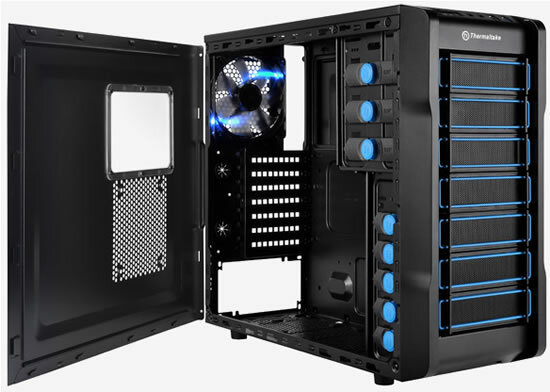 Thermaltake today launched another new member in Chaser Series- Chaser A21 mid-tower gaming chassis. With the black metal meshed highlighted with blue fluorescence stripes on the front panel, Chaser A21 has continued the e-sports appearance and outstanding protection designs inspired by the major motion picture Tron which helps characterize its originality. The transparent window on the side panel provides a fresh look into the breathtaking high performance PC build inside. 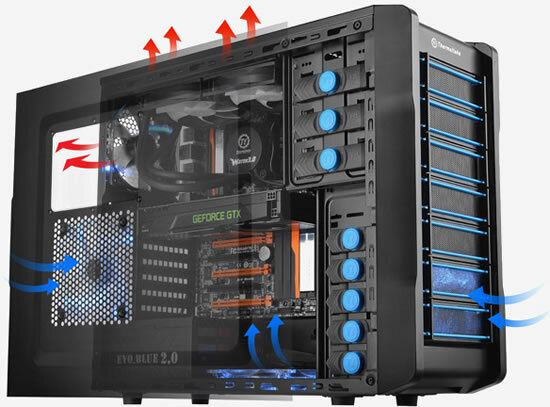 Since gaming hardware produces a lot of heat, this enclosure contains one 120mm blue LED rear fan for an optimized cooling solution offering extreme airflow and a touch of style and brilliance. Along with innovative 5.25” & 3.5” tool-free drive bay design in order to minimize the hassles of installing ODD, HDD and SSD devices, Chaser A21 makes installation more handy with less effort. 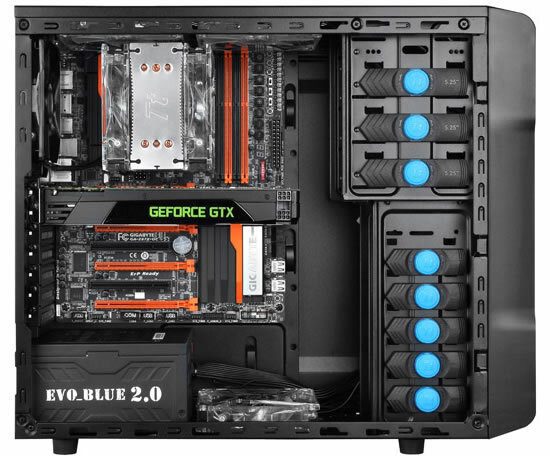 The Advanced Cable Management is designed for easy cable routing and hiding cables behind the motherboard tray, to ensure smoothness of the build and easy maintenance or upgrades, reducing wiring tangles, as well as better airflow and even preventing dust buildup. Thermaltake Chaser A21 enables user to build up a complete high-end solution with a 240mm radiator liquid cooling system and extra long graphic card with ease which helps to protect user’s hardware and increase the CPU’s overclocking potential, most importantly while delivering outstanding performance and efficiency from within the case.